A year ago, I couldn’t believe I had been blessed enough to start a new job that seemed like the most intimidating thing in the world—a DanceBlue Advisor. I was so excited and so so nervous to get to work among some of the brightest, driven, talented, most compassionate student leaders at the University of Kentucky. These students had offered their college careers to work towards a cause of finding the cure for childhood cancer. 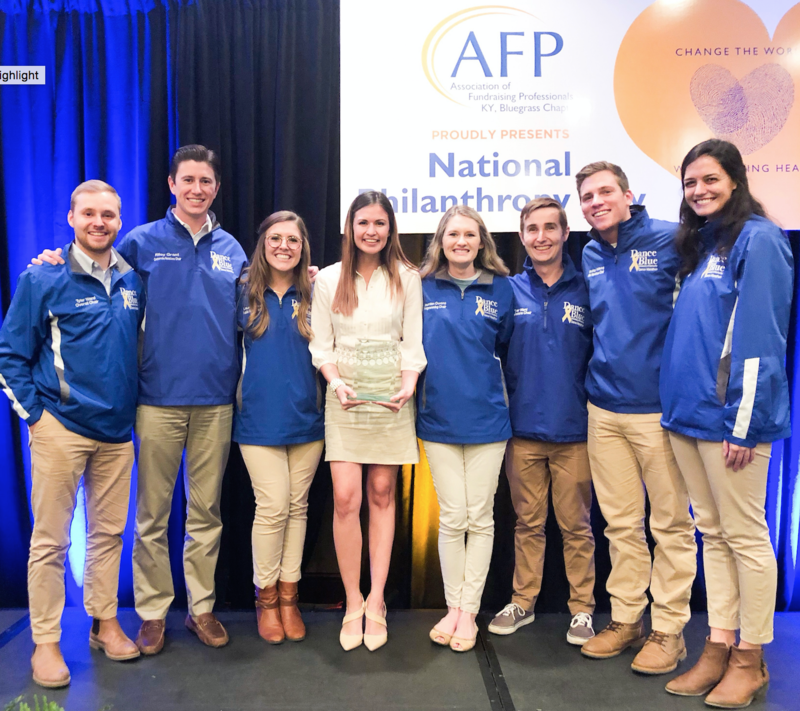 I had no idea what I had gotten into, but I was so glad I was getting to be a part of something much larger than anyone; which was the DanceBlue spirit. I am originally a native from Iowa (Go Hawks!) but also claim Mexico as my second motherland. I completed my Masters of Science in Education at the University of Kentucky, and something about the Blue Nation stuck with me and filled my heart with sparkle. My passion lies with helping students develop their full potential while watching them grow into kind, wise and better human beings. I have now been with the Office of Student Organizations and activities for a little over a year (they are the best). 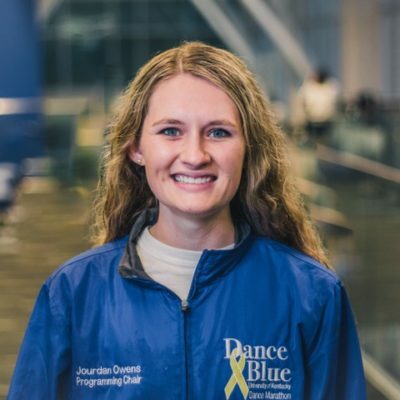 Within DanceBlue, I primarily advice Overall Chair, Public Relations Chair, Family Relations Chair, Dancer Relations Chair, Corporate Chair, Fundraising Chair and Technology Chair. 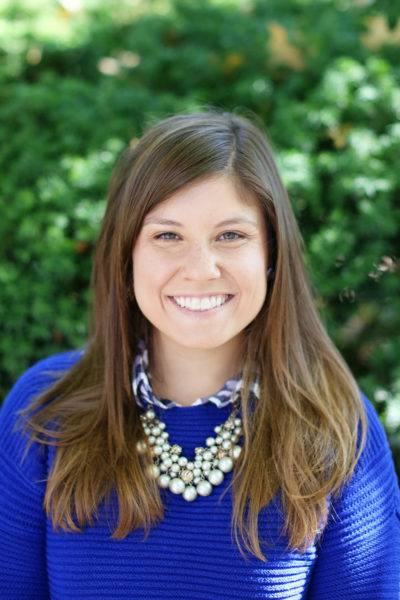 I work with our AMAZING Co-Advisor, Courtney McCalla (hey girl hey), as she advises Overall Chair, Operations Chair, Mini Marathons Chair, and Programming Chair. 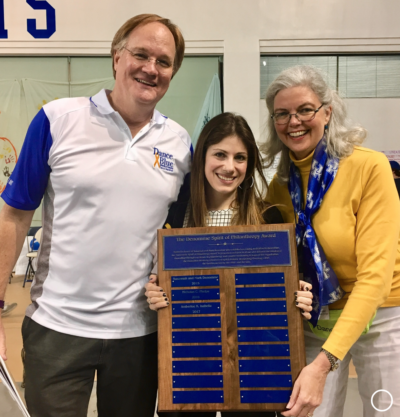 She has been advising DanceBlue and help plan the marathon for a few years (she rocks!). Our team is the most dynamic and I love getting to work with humans who are so invested in growing the organization. 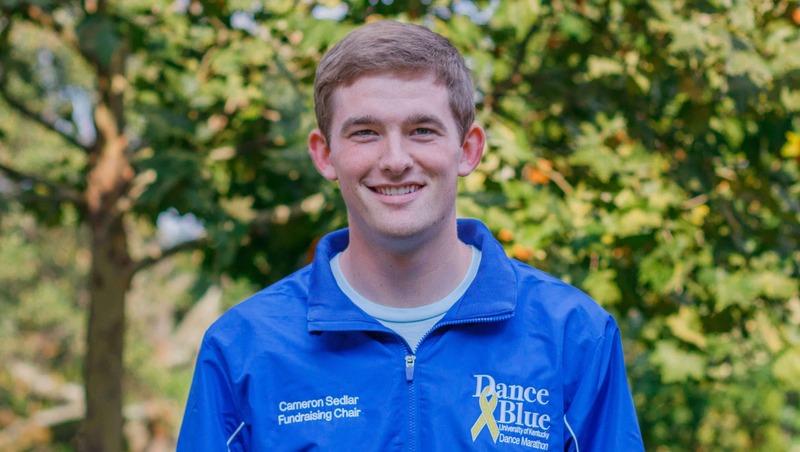 My role as an advisor is to support DanceBlue in all ways possible–through the students and the university. 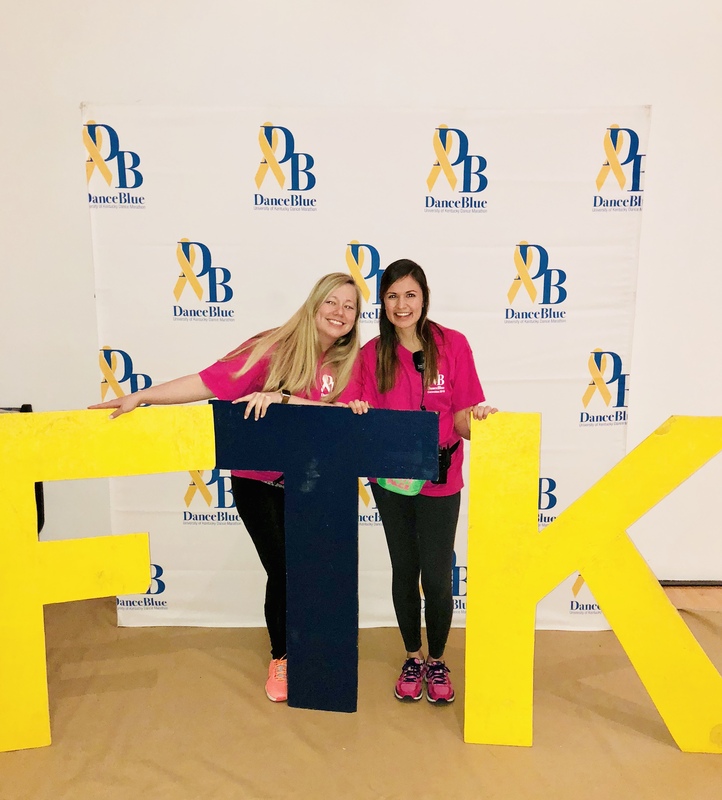 DanceBlue is amazing because it is a student-driven organization that is ran by students with the help and guidance from advisors, consultants and so many people who are passionate about helping the clinic and fundraising money. Our primary goal as advisors is to support our student leaders and watch their dreams become a reality, within reason, safety and budget guidelines of course hehe. Every day is an exciting day because we don’t know what challenges or situations we will face. We always want to remind them that with great power comes great responsibility to do good. 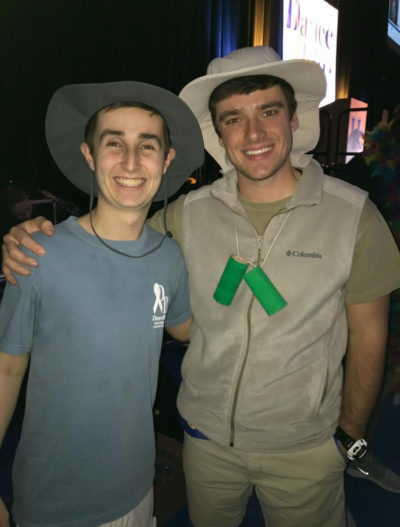 One of my favorite things that I overheard a DB student say is “I love next to the people that love as much as I do,” and that pulled on my heartstrings so hard because that is truly the spirit of DanceBlue. One of my favorite things in the world is watching students accomplish their goals and get excited about giving back to the community. It has been such an amazing honor to be able to share so many countless laughs, confused looks, stressors, tears, and so much passion for the organization with such good-hearted students. I will always remember my first group; Madison, Jodi, Amanda, Tyler, Cameron, Eric, Bradley, Jim, Becca and Carli. They are some of the sweetest souls that will always have a place in my heart. I am also so so happy to get to advise the passionate team of driven Tyler, bright Lauren, caring Emily, kind John, sweet Taylor, spontaneous Nick, diligent Eric, charismatic Riley, thoughtful Bobby, and sharp Jordan. I cannot wait to see how much they will grow this year! Courtney and I have the best job in the world getting to share memories and helping support these students grow DanceBlue’s mission.